This flavor tastes like a yellow sheet cake with swirls of frosting--indulge yourself AND be kind to your body with this sugar-free Birthday Cake creamer.Have your cake and eat it too! + only 1g of net carbs per serving. Click here to see the calculation. malena s. Reviewed by malena s.
I look so forward to my morning coffee since I found Prymal. 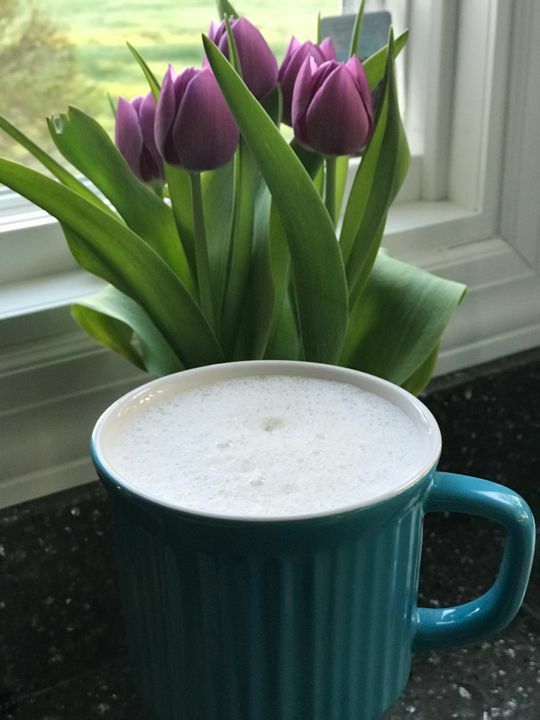 I simply warm up some almond milk, blend in 2 tablespoons of Prymal with a frother and brew my favorite coffee into the cup.Then I just relax and enjoy a cup of barista level coffee.A great way to start my day! Hi Nicole! Thank you so much for leaving your feedback. I'd love to hear if there's anything specifically I can do to improve the formula for next time. This was my first production run and by no means expected ourselves to get it perfect the first go. It could be sweetness level, the taste, the ability to dissolve, ease or difficulty overall to use, etc. All feedback is literally read by me, Courtney the founder, and I rework the formula :) Thanks so much! My next run happens in the next couple months so this is an opportune time to share. Hope to make you love it! This made my coffee taste soo much better and i stopped visiting starbucks while i had this in my possession! This was good too! (I bought 3 flavors) this one is sweeter tasting to me than the blueberry one. This morning I put one scoop of Blueberry and one scoop of birthday cake in my double coffee...so good, I really missed flavored coffee creamer. I am new to primal, and very happy with my purchases so far, can wait to see what comes next!! I wasn’t expecting this to taste so good. I was worried the stevia taste would be overpowering but it wasn’t. I also worried that I’d have to use more than the recommended serving size but a little goes a long way. Will definitely buy this one again.